Summer is an excellent time, and many of us like being outside and enjoying the fine weather: to hit the beach or have a picnic with your family. 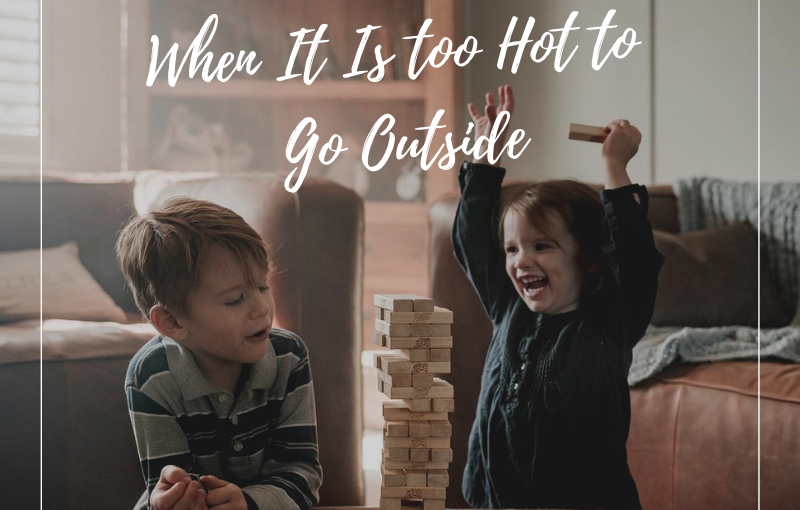 Unfortunately, there are some days where it is simply too hot to be outdoors, and at the same time, it seems impossible to entertain kids indoors. So, what to do in this case? Luckily, there is a wide range of home activities that will delight children of all ages and keep everyone at ease. No matter what age your children are, this list definitely has something you can do with your kids to distract while it’s so hot outside. There are several recipes using simple products that are found in every home. Most of them are pretty much edible and even tasty, so they can also be a good snack. The game will be more exciting if you make something with the child together and then hide and seek that item. Often we don’t have enough time to play a board game with a child, so take a moment. Let your child help you with your cooking. Make delicious and healthy sandwiches together. Choose a few summer tunes and dance. Print out some family photos and let your child make them funny, for example, by adding moustache or glasses. A babysitter’s knowledge of several tested activities can make the difference between children who will be happy to spend time with you and children who are absolutely out of control. Balloons are ideal for an active home game. Play badminton using balloons. Make a slime. Slime will be more interesting if you add sparkles, sand for needlework, or small toys. Make a "spy game" with a letter hunt. Hide the letters throughout the house to find and make a word out of them. Glue lines around the room to act as a road. Add road signs, such as a stop sign or turn, which will make such game even more interesting. All the kids like ice-cream. Cooking ice cream is very exciting. Moreover, on a hot day, it will be as never by the way. Creative activities are great for your kids when they are bored. So take a piece of paper and do something unusual. Chinese lanterns will be a great fun on a hot day. Make them bright and colorful. Help your child to make the puppets, then tell a compelling story with different characters and show some performance. Make planes and decorate them. Then hold the competition for the fastest and most far-flying plane. Cut some paper into narrow strips. Ask your child to decorate the bookmarks to their taste. Make a flavored rainbow soap. It's so much fun to make and even more fun to cut them into portions. Wrap cardboard letters in yarn. This craft will be interesting not only for your tweens but also for you. Ready-made crafts can be used to nicely decorate the room. Crumble the old slate pencils for this craft and melt with iron-on cut paper butterflies. Although this craft has long been known, it will never lose its popularity. After all, there are many different models of bracelets to try.